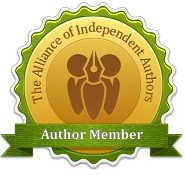 I’ve had one or two requests to tell you about my publishing journey. Okay, more than one or two. Please feel free to go and look at another post on this site if you feel a mild attack of boredom approaching, but for those who are still with me, here’s the story. So what happened after I signed my publishing agreement with SilverWood Book on 19 October last year? The next day, SilverWood Books MD, Helen Hart, asked me for my finalized manuscript of INCEPTIO to go to the editor, a short author biography, a 150 word ‘blurb’ for the back of the book jacket, my ideas for the bookjacket to pass on to the designer, thoughts about recommended retail price, social networking links and author photo. And that was Day 1. 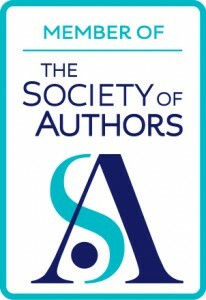 The editing was truly collaborative (I’d had my manuscript edited a few weeks before by a very alert and picky (these are compliments) member of the Society for Editors and Proofreaders who worked for some of the leading sci-fi and fantasy publishers. He’d given me some good genre-specific and structural advice.). On 8 November, I had the edited text back from the SilverWood Books editor who’d polished up ready for the final stage; I agreed with 95% of what she suggested. 13 November, and I clicked open another email from SilverWood Books and sat there transfixed. The cover. It was truly stunning – an overused word, but it was. I’d never imagined it would be so perfect. I’d been collecting cover images I liked for several months, mostly to help crystallize in my own mind what I liked and, more importantly, how I thought my book could attract readers. I’d jotted down a few notes about Imperial purple, gold, something modern and had sent it to SilverWood. But I’d never expected anything as impressive. After a few tweaks, we had the perfect cover. Work continued on the design and on 12 December, I received the first interior proofs. I hadn’t realised just how much there was to designing a book. I was so pleased I hadn’t been tempted to DIY it. I’m reasonably at home with basic graphics and design – that’s what editing a local magazine does for you – but the quality of the work carried out on INCEPTIO was excellent. I printed the 300 pages off then scrutinised them line by line with the help of my trusty ruler, red pen and Alison Baverstock’s excellent guidelines in The Naked Author – a Guide to Self-Publishing. What else would you do in the run-up to Christmas? 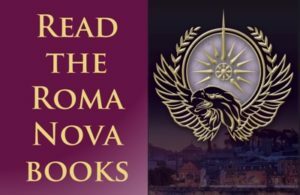 I suggested a dramatis personae and a historical note explaining about alternate history, plus a first chapter of the next book, PERFIDITAS should be added. In the meantime, I approached writing friends and mentors to ask if they would read an advance copy and, if they felt they could, to give me an endorsement. The delightful Adrian Magson provided the terrific cover quote and other lovely friends said some very kind things. Then everything rushed on – the interior proof was finalised and last wrinkles smoothed away, details were uploaded to Nielsen Bookdata and INCEPTIO appeared on Amazon with a temporary cover. Now it’s the full-blown thing with the ‘Look Inside’ feature activated and available for pre-order. Yikes! The proof copy from the printer was passed, the first print run ordered and the DHL man almost mugged by me when he brought the boxes of books out of his van. Parallel to all this, we’ve been ordering posters, postcards, bookmarks, sending out advance copies, I’ve been dropping a few little hints on social media(!) and organising my UK launch with the lovely people at Waterstones Tunbridge Wells (scroll down a little to 12 March 😉 ). Throughout the process, SilverWood Books have consulted, advised and supported me at every stage with their experience and professionalism. In cold terms, I’m a client buying in specified professional services to fulfill a project and get it to market. But in human terms, the SilverWood Books team have made the realisation of my emotional investment a life-affirming experience. I’m so thrilled for you Alison, and I look forward to reading Inceptio. Thank you, Debs. It’s been a great few months. It’s really hard to take in that it’s only 16 days to P-Day!